It's my first GBBD of 2015 and there is a lot blooming here in the Pacific Northwest, zone 8B. While the central and eastern portions of the country have been socked with snow and winter storms, it's been downright balmy here....and dry....Unthinkable! in this normally moist part of the world. 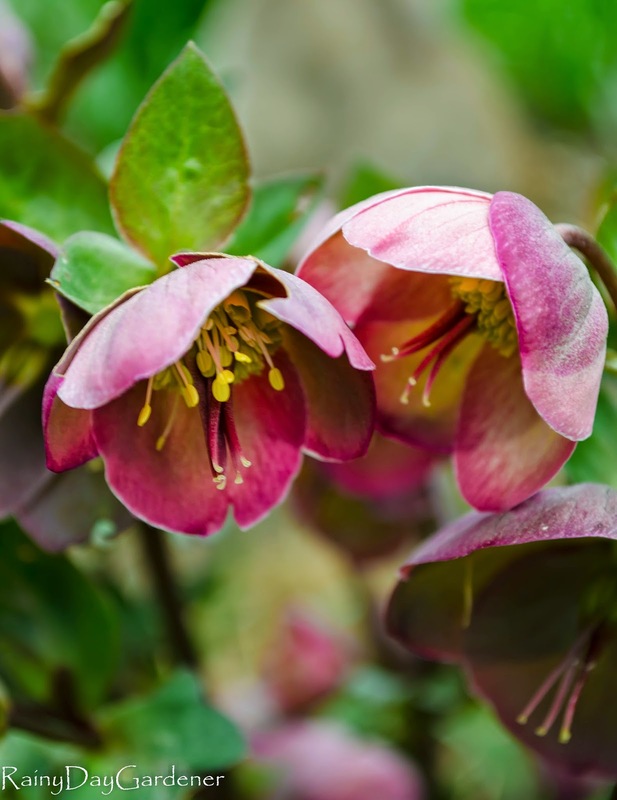 The hellebores are putting on an incredible show. I have been so delighted with my selections, most from the famous O'Byrnes based here in Oregon. You can read about my visit to their gardens here. 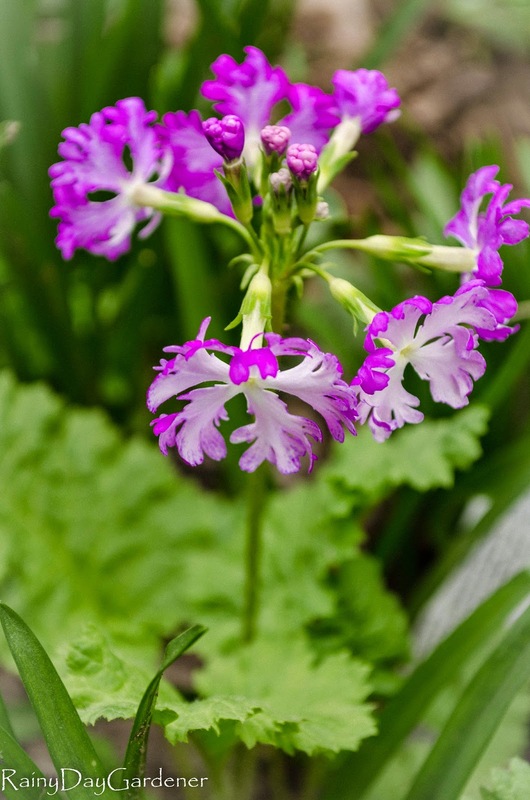 Primula 'Lacy Lady' is one of those blooms that forces you to take a second look. This was a great find from Xera plants. Ascot rainbow euphorbia is putting up a pretty show of late winter color. I have three of these beauties in my front borders and they have really multiplied this year. 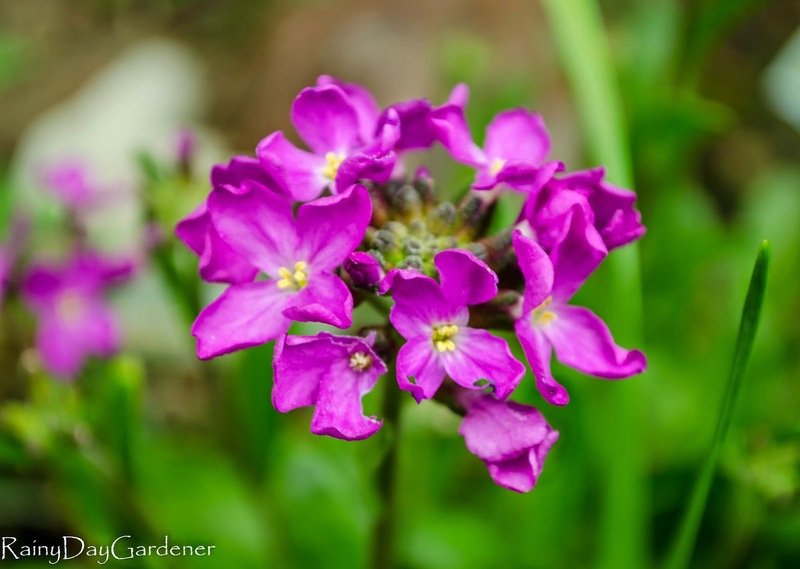 And the purple rock cress. 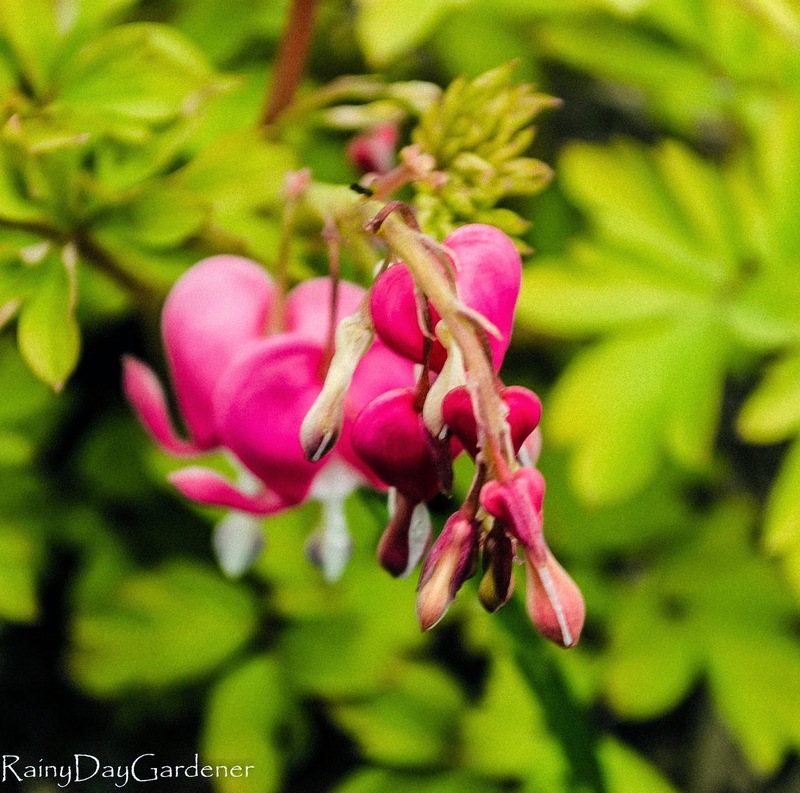 And can you believe it...dicentra spectabilis 'Gold Heart' is blooming? It's just the beginning but my goodness this is early! My elderly Star Magnolia has blooms and is now dropping petals...the hostas and ferns are emerging and to make things feel even more dramatic, our rainfall in the past month has been minimal. Yes, I do live in Oregon..the rainy state? I hand watered last weekend. Insanity. 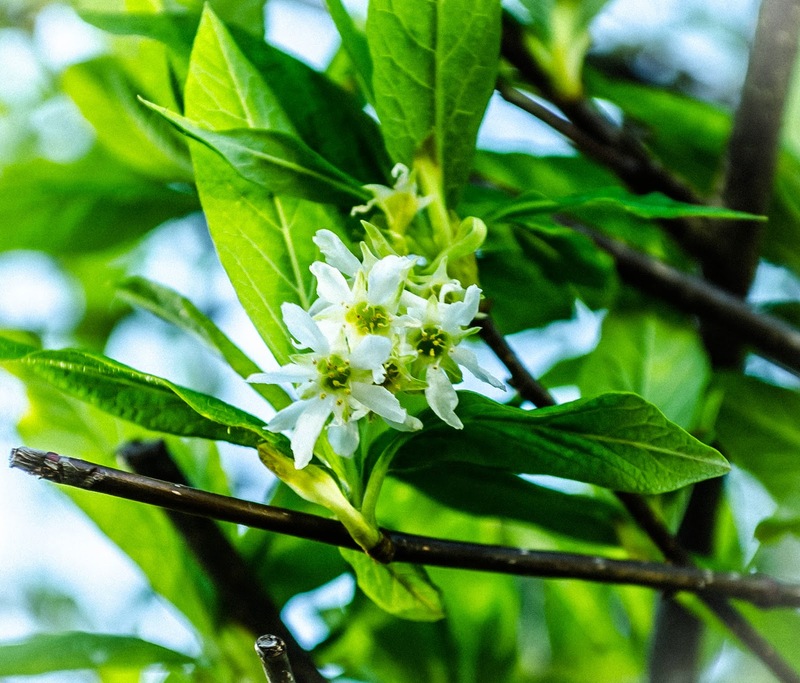 Early trees and shrubs are blooming, in fact, allergy season is upon us here. Amazing show for March, right? I'm in awe too. But, I am mainly happy for the rain that is scheduled to return this weekend to quench our dry earth. 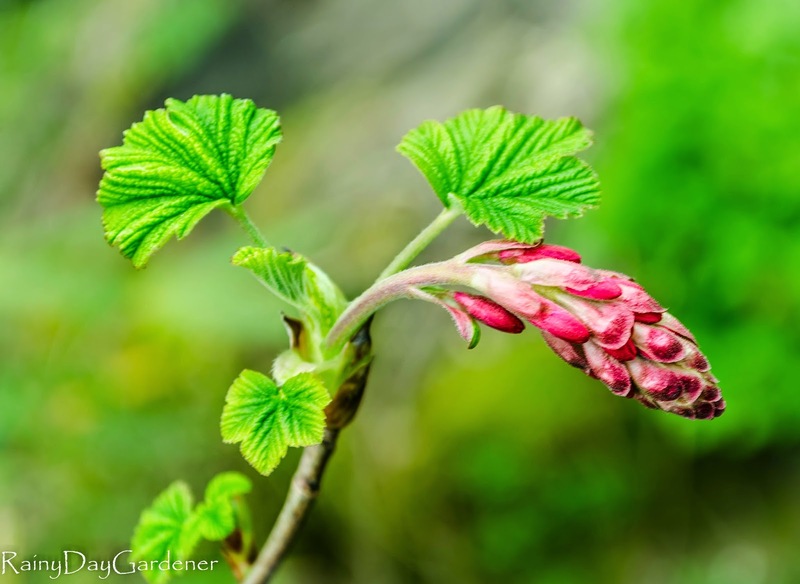 Join other garden bloggers on the 15 of every month at May Dreams Gardens and see what is blooming around the world. Funnily enough, I have also been wishing for rain. The soil in my garden is dry and powdery. It urgently needs a good soaking. I like the dark coloured Hellebore next to your Silver Cat (in fact, the juxtaposition of dark flower and silver cat makes a good photo!). 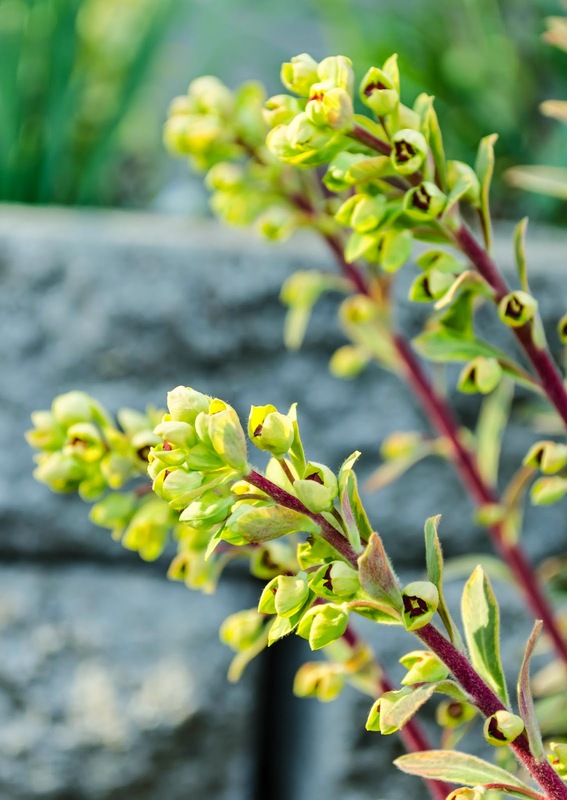 Let's hope the early start for your plants doesn't mean that they run out of steam too early: you need colour in the Summer too. . Agreed Mark! The good news is that I have a lot of late spring and summer bloomers and well, there's still room for more! 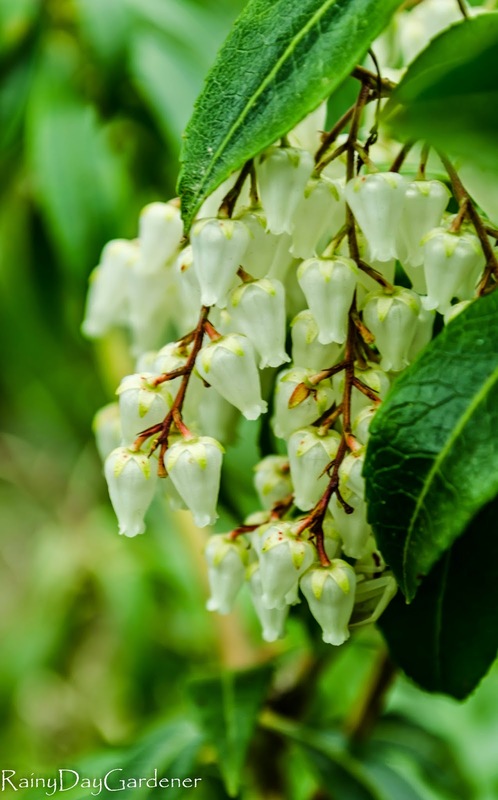 Seeing your Pieris japonica photographed so well almost (almost) made me miss the pair we inherited in front of the house. You're funny! And to think..I paid for mine..lol! The rain is back in force up here today, but that's ok with me. My back needs a day or two to recuperate. 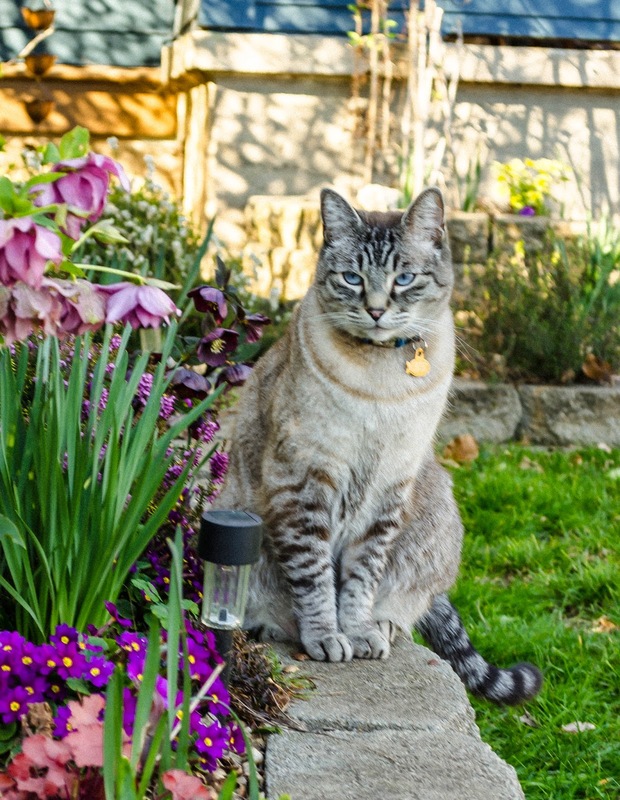 Love the shot of Silver Cat posing near the flowers! Happy GBBD! As you mentioned, we're just seeing the end of our snow, so very little happening in the garden which is why it is so much fun to visit yours. Now I am going to read about your "Hellebore trip." Your blooms are breathtaking and I love the photo of Silver cat posing in front of the garden. You have such nice gardens there in Oregon, a place I would like to visit someday. It is interesting that you are having dry conditions there since we have had record snowfall here in the northeast this winter! I enjoyed visiting your gardens so much that I am now following your blog... Happy Bloom Day! Making up for lost time, the wind and rain are beating down the early daffodils. I guess that's enough excuse to make a bouquet of them. Your spring is definitely springing! Love you garden and the plants we can't grow in Austin, Texas. Great pictures and love the guard cat, of course! Such a lovely post of your beautiful garden. I love your primula shot. Silver Cat is a beauty! Your blooms are gorgeous and Primula 'Lacy Lady' is incredible! Silver Cat is very handsome and looks a bit like our Pink Kitty(because she was the only girl) who shared her life with us many years ago. Happy wet Ides of March! You have so many gorgeous flowers, but I'm not sure anything can compete with the beauty of your cat. 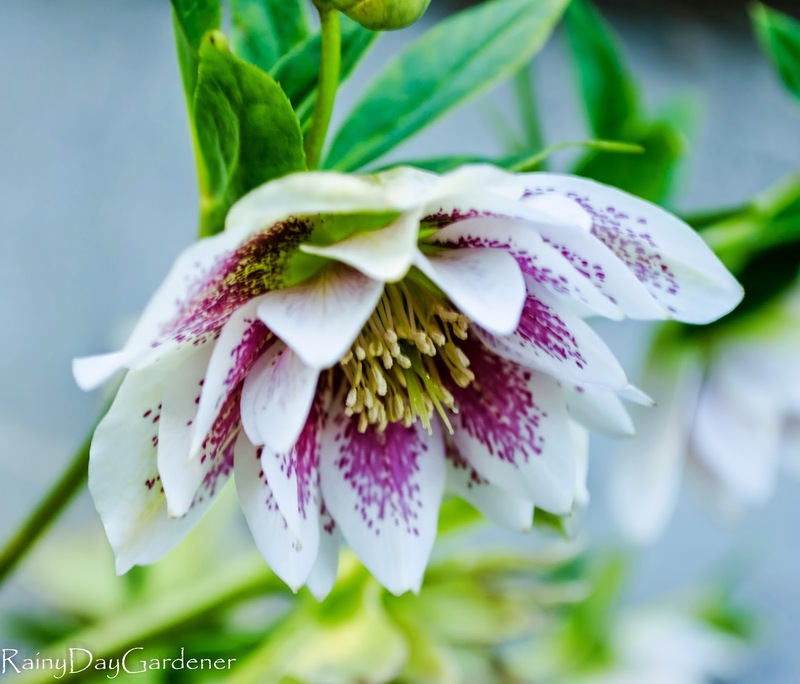 Nice collection of hellebores and all-round wonderful photos! 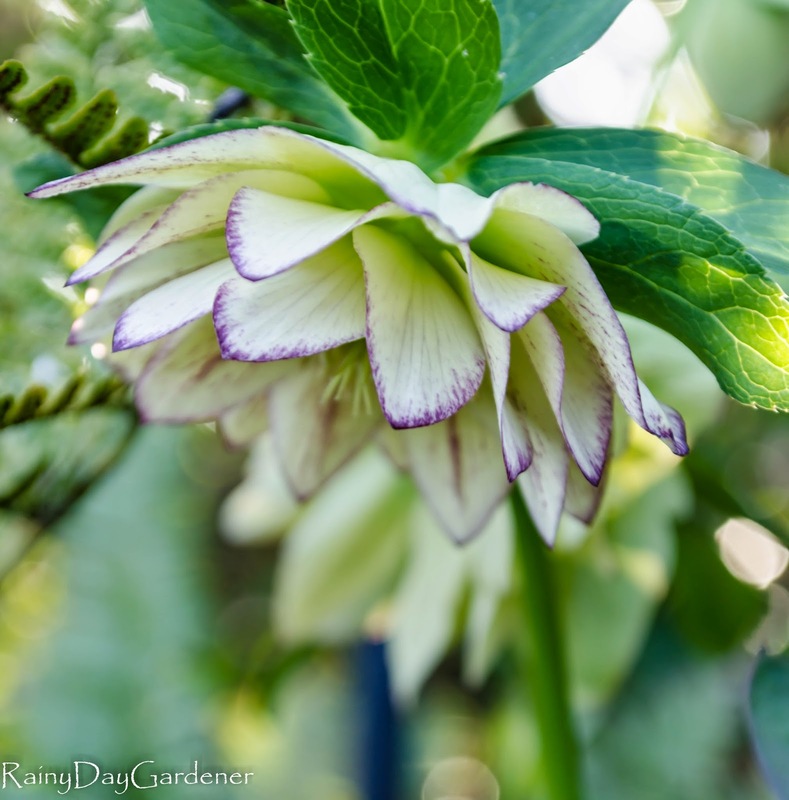 I planted some double hellebores this year and am totally smitten by them now. I love your Golden Lotus. Good to hear that the M. stellata is blooming. Is that the one that got damaged? Hi Jennifer, giving it a try to see if I can get through now...LOL. When you leave me a comment I click on it to get to your blog, but I think the problem comes when I try to leave a comment. Jen, this came through, I just have the comment moderator on. Thanks so much for swinging by! Yes!! Those are primroses from you! I got two of them and I could not be more delighted. I want like 10 more.